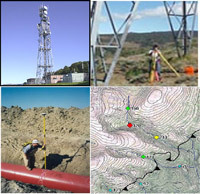 Kapitan Engineering is equipped to provide high precision surveying and construction staking along roadways and utility easement corridors where accuracy is critical. 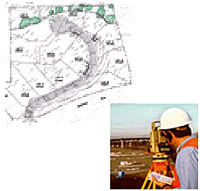 Our right-of-way department can assist with easement issues and route acquisition. Our GIS specialists can provide deliverables in various file formats including AutoCAD, MicroStation, and ESRI to meet client’s needs.